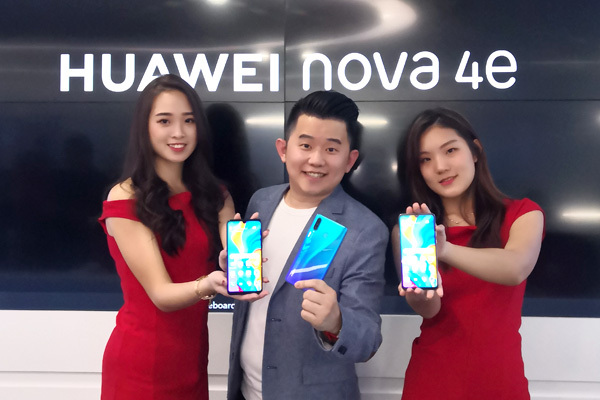 Following on the huge success of the HUAWEI nova 4 launched in January, HUAWEI nova series introduces a new entry to the family to further upgrade the selfie game experience of its consumer. Coming with 32MP front camera, the new HUAWEI nova 4e lets even amateur photographers capture frame-worthy and poster-quality selfies. Far from being just a charmer with its classy design, HUAWEI nova 4e also delivers a highly compelling user experience with the HUAWEI’s innovative technologies including a triple AI camera system. “Since its inception, the HUAWEI nova series has always been about driving one message to our consumers, a smartphone can be beautifully crafted, lightweight, while simultaneously provide an outstanding photography and entertainment experience. An expression of the DNA of the HUAWEI nova series, HUAWEI nova 4e brings entertainment and technology together to deliver a photography experience that rivals even DSLR cameras, without needing the assistance of external accessories,”. said Luke Au, GTM Director, Consumer Business Group, HUAWEI Technologies (Malaysia) Sdn Bhd. The elegant design of the HUAWEI nova 4e represents Huawei’s commitment to understanding aesthetics. Every minute detail is meticulously engineered to perfection, and every facet is a reflection of the HUAWEI nova 4e’s understated, but absolute confidence. It is equipped with a 6.15-inch Dewdrop display. 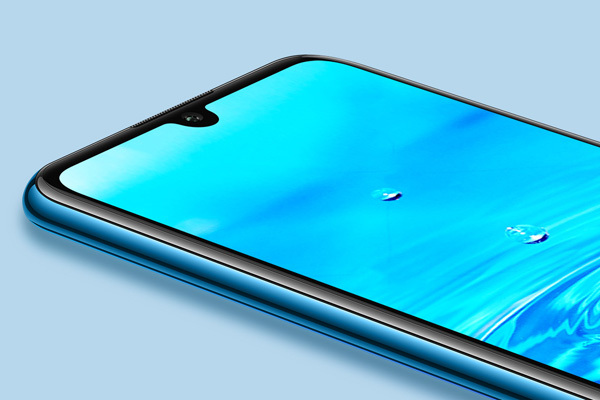 The unobtrusive, miniaturized notch gives the display a massive 84.1 percent screen-to-body ratio, and lets it naturally connect with the frame to form perfectly rounded edges that make caressing the device a true pleasure. HUAWEI nova 4e also adopts a next-generation color manufacturing process. The gradient effect now gets a new mesmerizing sheen, making the device closer to an actual piece of art than ever before. 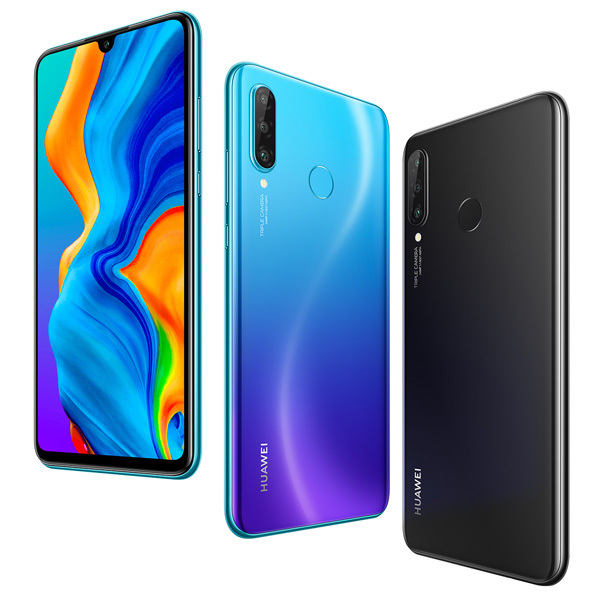 Available in Midnight Black, Pearl White and Peacock Blue, HUAWEI nova 4e offers a choice of three colorways what invokes imagination of its users. Stunningly unique, the HUAWEI nova 4e is a category of its own, representing best-in-class industrial design. One of the most exciting features of the HUAWEI nova 4e is its 32MP AI Selfie Camera. With a HUAWEI nova 4e in hand, consumers command a professional team of virtual stylists, comprising makeup artists, gaffers and photographers, who will follow them wherever they go, and they can take studio-quality images with just a tap of a button. From chiselled jawlines, bright eyes to tall noses, every selfie looks better with HUAWEI nova 4e 32MP selfie camera. The HUAWEI nova 4e is also equipped with a triple camera system that includes an ultra-wide angle lens plus main and secondary cameras. The main camera is a 24MP camera with a f/1.8 wide aperture lens that allows for greater light sensitivity. The third, ultra-wide angle 8MP camera supports a field of view of up to 120 degrees—twice of that of conventional cameras—allowing users to capture clearer photos and do so with a wider perspective. For less favorable lighting conditions such as when there is too much or too little light, or when the light source is illuminating the subject from the back, users make take advantage of Super Night Mode, which automatically adjusts the settings to compensate for the suboptimal lighting. With it, users can chronicle their lives with their smartphones at any time of the day. Underneath its beautiful appearance, the HUAWEI nova 4e is equipped with powerful hardware and software. In terms of hardware, it features the Kirin 710 system on a chip and a massive 128GB storage device. As for software, the device runs on the EMUI 9.0.1 operating system. Combined, they ensure the smoothest, smartest user experience for any scenario. Today’s youth are more dynamic than any of the generations that come before them. Aimed at catering to this young audience, HUAWEI nova 4e offers a novel AI Video Ringtone feature. With it, users may set videos, as opposed to just audio, as their ringtones. It supports a range of formats, including short clips downloaded from the popular app TikTok. Featuring innovative AI technology, with premium design and powerful performance, the HUAWEI nova 4e is a worthy new addition to the HUAWEI nova series. From 16th March onwards, the HUAWEI nova 4e will be available Midnight Black, Pearl White and Peacock Blue with a retail price of RM1,199 and can be purchased at all HUAWEI Experience Stores, Huawei Online Store: shop.huawei.com/my, display zones and authorized dealers. For more information, please visit consumer.huawei.com/my/phones/nova or HUAWEI’s official Facebook page www.facebook.com/HuaweiMobileMY.